This 2130 sf boutique gallery specializes in American contemporary fine art of varying media. The extensive collection ranges from masterpieces of realism to minimalist handmade creations. David Corban worked closely with owner Trudy Labell to create four distinct micro galleries within this very small space. 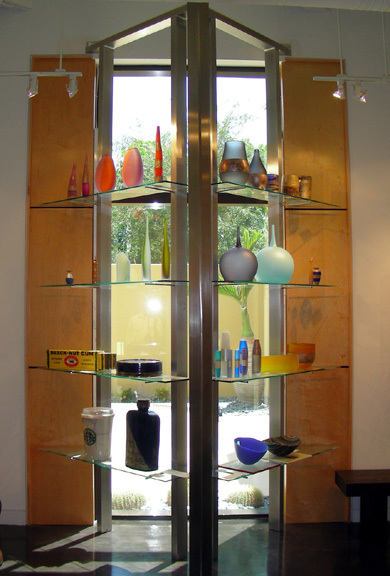 Numerous display niches allow individual pieces to be viewed without visual distractions. Unlike most galleries, natural light is celebrated and used effectively to enhance the displays.